We have gained a deeper understanding of how stink bugs synthesize pheromones, and this knowledge may allow us to produce pheromones in expendable food crops – also called ‘trap crops’ – to lure the bugs away from cash crops,” said Dorothea Tholl, a professor of biological sciences in the College of Science and a Fralin Life Science Institute affiliate. Her team’s research has recently been published in the journal Proceedings of the National Academy of Science, or PNAS. “Our recent paper provides valuable insight into our understanding of how insects synthesize complex sesquiterpene compounds that are typically used as pheromones. The work could pave the way in the future for plants to manufacture insect pheromones, which could be utilized in pest surveillance and pest management strategies, such as attract and kill,” said Thomas Kuhar, a professor of entomology in the College of Agriculture and Life Sciences and a Virginia Cooperative Extension specialist. Very little was known about the biosynthetic evolution of these insect pheromones, and the research of Tholl’s team has shown that stink bugs have their own enzymatic machinery to make pheromones without receiving them from symbiotic microbes or the host plant, as was previously thought. Jason Lancaster of Knoxville, Tennessee, a recent biological sciences Ph.D. graduate from Tholl’s lab, used next-generation sequencing to identify and functionally characterize the first enzyme in the biosynthetic pathway of the harlequin bug pheromone compound. “Pheromones for thousands of insects are known, but very little is known about the synthesis of the pheromones. This paper focuses on terpene derived pheromones from the harlequin stink bug Murgantia histrionica and encompasses many years of research. Besides the development of dead-end trap crops, this research may allow establishing “RNAi interference” type gene silencing mechanisms to disrupt the pheromone production of the insect,” said Lancaster. Lancaster also found that other stink bugs such as the brown marmorated stink bug use enzymes in pheromone biosynthesis similar to that identified in the harlequin bug. Beyond the team’s current study on stink bug pheromones, the research may allow for exciting future discoveries in the biosynthesis of pheromones of other insects and their application in pest management. There is commercial interest in using the genetic tools developed by Tholl’s team to produce the pheromones via synthetic biology for application in the field to promote pest mating disruption. “Overall, we are excited about the prospect that our research has the potential to develop new pest management techniques,” says Tholl. 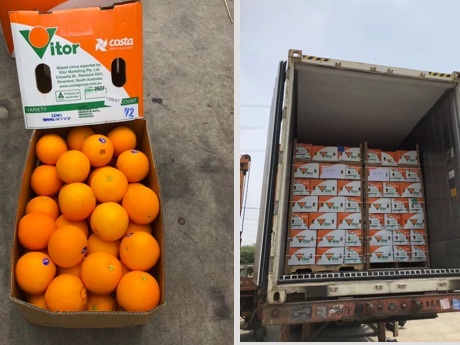 "US summer oranges popular in Chinese market"
"On April 2nd, China increased customs tariffs on the import on some US agricultural products as part of the ongoing Sino-US trade war. This directly increased the cost price for importers, and of course the market price of the products also increased. This development is most obvious for oranges in the Chinese market. "The import volume of US oranges has sharply reduced and the production volume of Australian oranges fell. 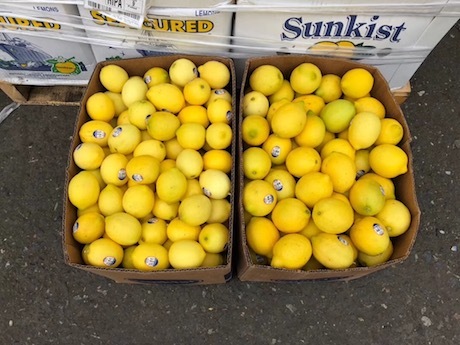 As a result, the US summer oranges already on the market have become more popular and their price reached a record high. As for South African oranges, their market price recently dropped because supply volumes increased. 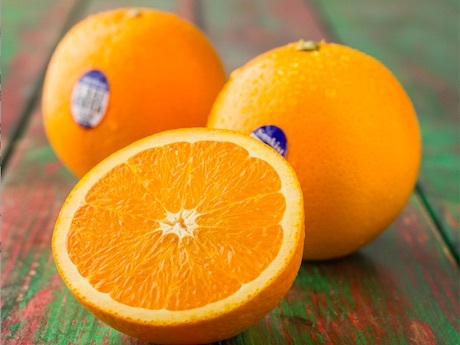 The price of South African oranges was still quite good at the start of the production season, but when US summer oranges arrived, the price of South African oranges suddenly dropped. At the same time, Australian oranges also face difficulties. The price was quite good last year, and many farmers therefore decided to join in and claim their market share. Many inferior brands are suffering losses." 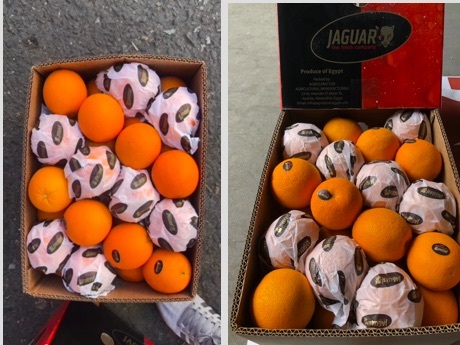 This is according to Mao Guangju, president of Shanghai Ouke International Trade Co., Ltd.
"It is our opinion that the price of imported fruits is influenced by the increased cost price of international trade, but that the main influence on the market price is still the size and quality of supply. If the product quality is excellent and the supply volume is small, then the price will increase. It is our estimation that traders will be more careful this year during the grape and orange seasons." A topic that frequently runs the Australian political narrative in Australia is the cost of power and its impact on family budgets, but it is now becoming a significant expense for business. The grain industry, from storage facilities to processing plants, is not immune from these significant price increases, causing management to take a closer look at operations. In October 2017, Bloomberg reported Australia’s energy costs were the highest in the world despite its ample resources of coal, gas, wind and solar. The high cost of energy is placing Australian business, particularly energy intensive industries, under increasing pressure to remain profitable. The national data collection agency, the Australian Bureau of Statistics (ABS), charts this pressure with figures taken from 2003 to 2013 highlighting business has paid increases of 60% and 29% for electricity and gas, respectively, over the 10-year period. Albeit serendipitously, Australia’s largest family-owned brewer, Coopers, was able to stabilize price fluctuations through a gas-fired co-generation power plant operated by energy provider AGL and technology that captures waste energy. Tim Cooper, CEO of Coopers, spoke with World Grain about the company’s co-gen powerplant and the technology used in its brewing and malting operations in South Australia. Coopers moved to its current site at Regency Park in 2002 and effectively built the brewery from the ground up. One of the problems it faced at its old Leabrook facility was that it periodically lost power, which interfered with the brewery’s operations and product quality. The new brewery was planned to incorporate a gas-fired co-generation powerplant to prevent blackouts. “If the grid fails, as it did in 2016 when South Australia suffered a state-wide blackout, the co-gen plant goes into island mode, cutting itself off from the grid so our operations aren’t disrupted,” Cooper said. In the context of a rising energy market, the co-gen plant and energy capture technology have proven to be a blessing in disguise. Jointly owned with energy provider AGL, the co-gen site was built in 2002. At the time, Coopers signed a 20-year agreement locking in a price subject to CPI but no other market fluctuations. At the time, the price Coopers agreed to pay was above the market rate, but as power plants around the state closed and market prices rose, Coopers has enjoyed the benefit. Aside from electricity, the co-gen plant also produces waste heat that is captured to make steam that is used throughout the brewery and malthouse, reducing gas usage. Technology used in both the brewery and the malthouse captures energy that would otherwise be wasted. Cooper explained the pre-heating of the kiln in the maltings is one example of how this works. Buehler Engineering was asked to develop a kiln that could use the excess steam produced during energy generation to pre-heat the air pumped into the furnace. Cooper said that by using excess steam to heat the air entering the kiln rather than burning gas, total gas usage has been cut by approximately 30% to 40%. Having two operations (a brewery and a malthouse) has further boosted efficiency as the excess steam not used by one operation is easily transferred to the other. Cooper estimates the energy savings translate to 13 cents per carton of beer, or a 1.5% cut in overall operational costs. “As we are a family-owned company, we could take a longer-term view on this investment, which we expect will take 10 years to pay back,” he added. Another family business, Lauke Flour Mills, which has operations in South Australia and Victoria, has had to adopt different strategies to manage power prices. Peter Cobb, general manager of Lauke Flour Mills, said the business has experienced a doubling of energy costs year on year since 2016-17. “The business came off a really competitive energy contract in mid-2017, but since had to find an additional $800,000 savings elsewhere in the business to cover the cost of power over the year,” Cobb said. Cobb explained the business has installed LED lighting, power factor correction devices and automation that shuts down power and lighting when machinery is not required. He said this has had an impact but by far the greatest savings have been found in re-thinking operations to make use of off-peak power. Lauke Flour Mills is even conducting a feasibility study with energy provider AGL into switching the Bridgewater site’s water turbines back on. The site is located by a river that would supply the water needed to turn the turbine and generate power for the site. In addition, he said the business had made use of brokers to secure lower energy pricing by using them to put the Lauke’s power needs over a cycle onto a reverse auction that retailers place ever decreasing bids on. “This has been useful, but we are currently using a more traditional bill negotiation by contacting potential retailers and outlining our energy needs over a cycle to negotiate a price over the phone with our broker,” Cobb said. The benefit of this strategy is it makes the business more responsive to power price movements, he said. Cobb describes the impact of managing network (demand) based charges as equally as important as the energy charges, and after talking to other energy-intensive businesses he’s surprised their focus is largely on the variable power price. In March 2018, CBH announced its company-wide target to install one megawatt of renewable energy generation in the business by 2019. John Cairns, special projects manager at CBH, said the main driver for the commitment was to reduce the business’ carbon footprint. But the objective is also about reducing greenhouse emissions. CBH measures its carbon intensity levels by dividing its total carbon emissions in CO2 equivalent tonnes by the harvest size (also in tonnes). “I’m pleased to say CBH was able to generate a 16% reduction (from the previous year) in its carbon intensity measure for the 2016-17 financial year,” Cairns said. He added CBH was pleased with its progress toward a sustainable energy future, but business still has a long way to go. On the East coast, GrainCorp has raised the prospect of looking at energy costs in its operations. The company’s CEO, Mark Palmquist, was asked at the annual general meeting last February if there was a strategy to manage rising costs. Palmquist said the business faced an additional A$9 million in energy costs across both its malting and oilseed processing operations. Unlike CBH’s investment in renewable energy, GrainCorp could also manage these price increases by looking offshore to countries that had low energy costs and reliable water supplies, although he pointed out this was not the sole reason an offshore opportunity would turn the company’s head. There is complexity in landing the government policy required to address these rising energy costs. In Australia, the energy costs are largely state-based. However, the federal government also plays a role. In October 2017, Federal Environment and Energy Minister Josh Frydenberg put forward a proposed National Energy Guarantee (NEG) to the state energy ministers. If the proposal succeeds, the federal government says NEG will ensure affordable and reliable energy allowing Australia to meet its Paris Agreement commitments. Cobb said old power stations being taken off the grid without new power generation entering the market is creating an imbalance between capacity and demand that leads to the doubling of price. “We’re not seeing a proper market response as government policy fails to frame energy generation over the years to come,” he added. Policy development and discussion is ongoing, and the COAG Energy Council (made up of federal and state governments) was scheduled to release in mid-June papers for public discussion. Still, the politics is fraught with disagreement even within the federal government on how to balance affordable energy with bringing on new, cleaner power generation technologies.